The oldest collection of Chinese poetry, more than three hundred songs, odes and hymns. Tr. Legge (en) and Granet (fr, incomplete). Confucean thought summarized for the Prince. Tr. Legge (en), Pauthier (fr), Bog (fr). A textbook helpfull to start learning Classic Chinese. Tr. Giles (en) and Deverge (fr). This famous system of 64 hexagrams plus their commentaries and trans­for­mations is at the root of Chinese thought. Tr. Wilhelm (en, fr). The naturalist, individualist and politic doctrine of Lao-tse exhibited in 81 poetic and obscure texts. Tr. Waley (en), Lau (en), Julien (fr) and Wilhelm (de). Chinese strategy explained : know yourself and the ennemy, use deception, spies, and "win with ease". Tr. Giles (en, annotated) and Amiot (fr). A recently uncovered notebook of 36 proverbs commented as military tactics that helps dealing with conflicts. Tr. Verstappen (en), Doc Mac Jr (fr). In these pages it's possible to read the Analects of Confucius (Lunyu), The Way and its Power (Daode Jing) attributed to Lao-tse and some other wisdom or poetry texts in Chinese with English and French translations. Any Chinese characters are linked to dictionaries. Your browser must display Chinese. Why read Confucius, Lao-tse or the Book of Changes? Well, these Chinese classics have had a major influence on the oldest civilization still in existence on the face of this planet; that should be enough. If not, please consider that China, mostly as a distant mirror where hopes and fears are reflected, has exercised a profound impact on the thinking patterns of Western civilisations, and will. This article in the Routledge Encyclopedia of Philosophy explains things better. Absolutely love this website! Thank you so very much for making it available. Wow, wonderful site, thank you! From Brazil, I would like to assure that this work (this website) is a great treasure, a worthy instrument that gives us way to essential Great knowledge. Thank you. Great work! I love this site! Harrison Z. Huang, Ph.D student at socrates.berkeley.edu, writes : "Analects on the AFPC website: This excellent site based in France arrays the Chinese text of the Analects alongside English translations by James Legge (1871) and D.C. Lau. (1979), as well as a French translation by Couvreur." 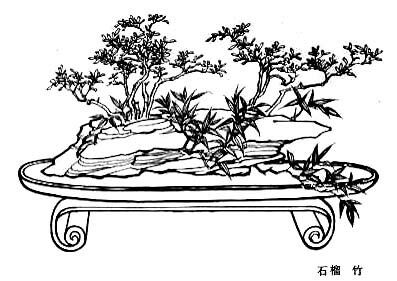 The art of doing nothing, www.biroco.com, writes : "Absolutely marvellous rendering of the Yijing, Lunyu, Daodejing, Shijing, and Tang Shi in Chinese and translation. Beautifully presented, an obvious labour of love and considerable technical expertise." Le Bulletin des Bibliothèques de France (BBF 2003 - Paris, t. 48, n. 5), propose Wengu dans son Panorama du Web. A Lyon, Le Fonds chinois de la bibliothèque municipale propose Wengu comme site du mois. Classical Chinese Literature Websites Database writes : "Contains Shi Jing, Lun Yu, Yi Jing, Dao de jing, Tang shi. Nice introduction and information about each one. Contains traditional chinese characters with immediate English (and French!) translation. Some texts offer multiple translations. REALLY COOL PART: If you put your pointer on a character, a rollover window appears with pinyin pronounciation (complete with tone!) and translation. Clicking on the character opens up a dictionary in a separate window. Although some of the translations are modern, rather than classical, it is still useful (and pretty neato)." Wenlin Institutes (home of a wonderful software for learning chinese). The Internet Public Library, Dmoz, Google and other directories. Symbols.net, Extraits et Sucs de la langue chinoise, Condor.depaul.edu, Myrilke, Le Blog Des Livres. Hello. This is one of the BEST website i have ever seen for interpretating the essense of Chinese culture. now reading this website EVERY DAY becomes a habbit for me!One suggestion— is that possible to add a column for SONG-CI ? Thanks a lot!! !